Catch A Vision! A Day of White! Wow… What a week! How is it that things just get better and better? Will it ever stop? Well, according to my belief in progression, nope! Oh how miserable life would be without that knowledge. To literally think that what you have is as good as it gets. The truth is this, we can always have better, be better, and do better. Our work is never done. Even when we die someday, thanks to Christ, we will still continue to grow and learn if we so desire. This is essentially the message that I try my best to share with non-members, members, and missionaries. It is a process, but the first step is to help create in them a vision of the future they would like to realize. Proverbs 29:18 reads, “Where there is no vision the people perish.” To create a vision you need to open your mind to the possibilities of what can be, or in other words, you need to raise your expectations. In this vision creating process you should include our loving Heavenly Father. He knows far better than us what we can become and what potential we have. If we heed the promptings of his spirit he will help us raise our expectations. A man may accomplish much in life, but if they do not include God in the creation of their vision they will find at the end of their life that they have still fallen far short of what they could have accomplished in that time. God can make a lot more out of my life than I can. I know from personal experience that that is true. Once we have grabbed hold of an inspired vision we need find out what it will take to realize that vision. Where are we falling short? As you ponder and discuss what it will take, you need to make goals. You should make enough goals so that if you were to reach all of your goals then you would find yourself reaching your vision. And then finally the part that I believe is most crucial is the plans. Weston told me in an email a while back the following quote, “A vision without plans is just a dream, and plans without vision is but a nightmare.” We should make detailed plans for how we will accomplish every single goal. Once again, let the spirit of God be present during this process for he will guide you in every step as you make these plans. God knows all things and as we listen to his spirit we may make provision for things we have never considered. Excellence is in the details! So many people in this world have done the first two steps of creating vision and goals, but they never go as far as making specific plans. It is of no surprise to me that these people never reach that original vision they have established for themselves. Plans translate into action! Plans are what allow us to go and make it happen! Plans are what separates the dreamer from the achiever. But anyway that is what has been on my mind lately. On to the miracles!! We had a baptism this last Saturday! 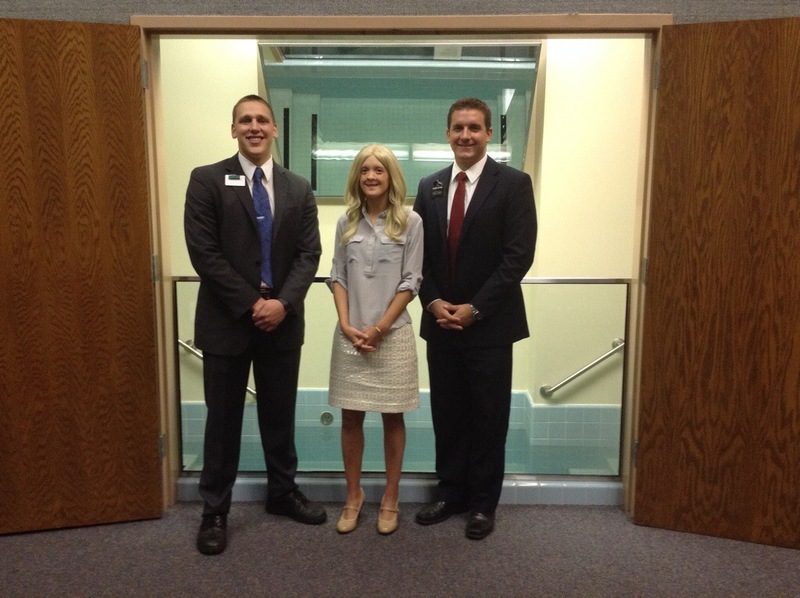 It was probably the most spiritual baptism I have ever attended. The feelings of love and kindness that where in the air where so thick and tangible that you could cut it with a knife. We had terrific support from the ward and everything could not have gone smoother. 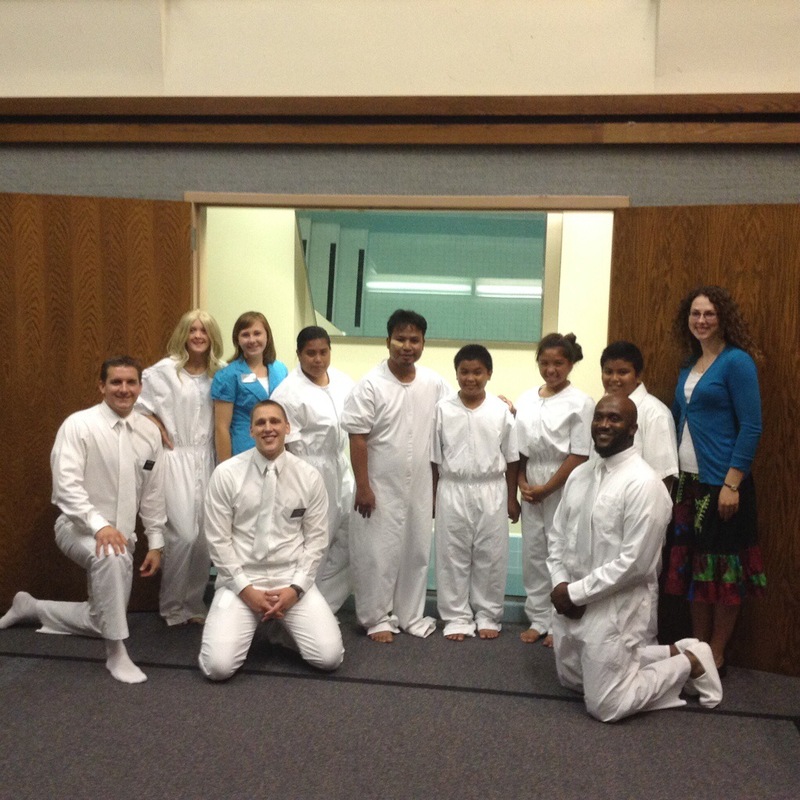 We combined our baptism with the sisters missionaries. 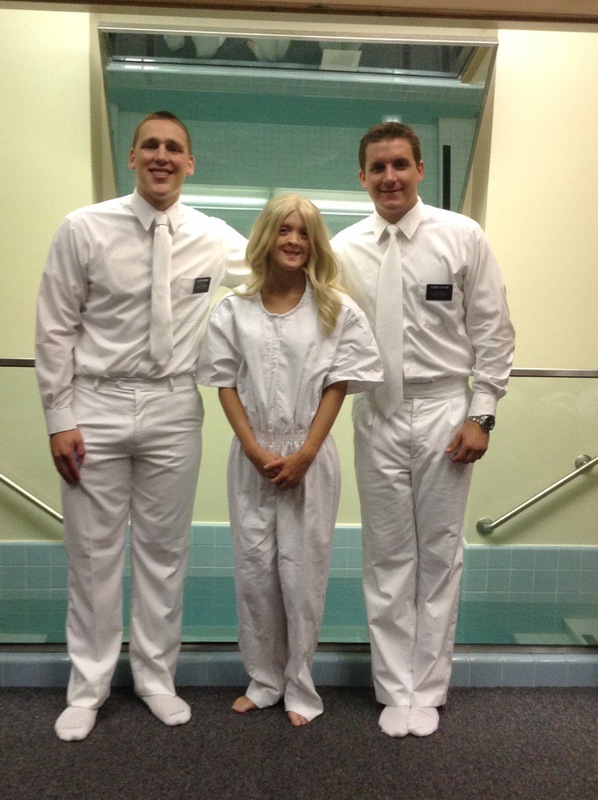 They had a family of 5 getting baptized and we had the incredible Tara. Just simply recollecting the event has filled my soul with a burning joy that is coursing through my veins. This is what is all about; seeing the change that people have undergone over a life time to be ready for this moment only to begin their new journey of growth in the love and warmth of the family of Christ. On top of that, to see a family baptized and united together in their faith is something truly special. That is one whole family that will be able to be together forever now! This gospel is so good! A quick note on Tara. She is one of the most amazing women that I have ever met. Her love and appreciation for this knowledge and spirit is unlike anyone I have ever met. Being around her honestly make me question whether or not I fully appreciate as I should the blessing of having the gospel in my life. She has a light about her that brings joy into the hearts of all who interact with her. This ward must be doing something right to be able to receive in its midst such a choice spirit. I still haven’t figured out what it was that I did to deserve the blessing of being her conversion story. I am excited to see what she is able to do from here. I hope all of you will be able to reach your own potentials by constantly using the process of vision, goals, and PLANS. If you can master that process you will truly be able to experience constant and lively joy in your life. The very joy that I experienced at that baptism, which happened through the very process that I described. GO THE DISTANCE!! I love y’all! Have a great week!! This entry was posted in Joshua and tagged Baptism, be better, Elder Cordon, goals, have better, Jacksonville Florida, Joshua Cordon, LDS, Mormon, plans, progression, vision by shalesecordon9. Bookmark the permalink.